Sometimes, just too much has happened to you. There is a store of trauma, adhesions, heartbreak – body collections of all that is stored. it is now likely getting in the way of normal – you ever remember having this – perfect no hassle periods and easy digestion – no pain anywhere and accidentally pregnant well before you wanted to be. My Gentling Way, besides all the Arvio/Maya work includes also the aspects of the Mercier work that add onto all that I have myself researched and refined in the past 4 decades in working with mainly women, mainly at the maternal edge – and of course with all people and men to assist in any deviation of optimal functioning back to body health and wellbeing. Using always simple natural solutions. It is used to help restore the health and general well being within the pelvis. This gentle and non invasive technique was created to help you to reconnect to your divine self and to allow your pelvis, a highly emotional space, to re-open to healing and balance. Chronic pelvic pain can be debilitating and difficult to handle on a daily basis. Typically pelvic pain can occur within the structures surrounding the female reproductive organs such as the urinary bladder, bowel, musculature, ligaments and bones. Also, pain could be coming from the reproductive organs themselves. You will find that this work may well be the foundation for the rest of your easier life. Any menstrual irregularity – let me help your flows flow again. PLEASE NOTE: once a block of this intensive body work is completed it is unlikely that you will need more. You can then return to your local acupuncturist/body worker/Arvigo practitioner and continue with their care. OR/and – be healed and empowered through the Self Care courses for working on yourselves and each other. This additional online support and guidance is part of the extensive training – for home self help. Look after yourself – yourself. Straight Mercier Therapy for pelvic pain can be over a period of 4-6 weeks and is done in 6 individual sessions at 60 minutes per session. 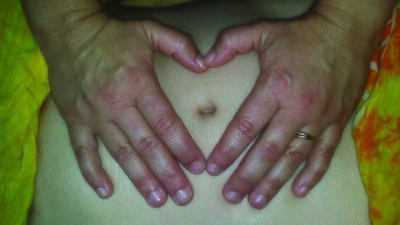 This visceral manipulative technique is done abdominally and requires NO internal work. No more than a week between each of the 6 sessions. Can be consecutive days – sooner is better than later. or have mesh/an IUD in place). All pelvic repair including old tailbone and lower back problems likely resolved – for good – this gentle, profound work comes from a lineage of many countries, cultures and traditions – usually oral and through – hands on . .
Each session will leave you feeling taller, more aligned, consolidated and happier! See also The Shared Journey. Ideally suited if you are traveling in from elsewhere. Much as though you were undertaking IVF – go for all there is on offer – way more than the ‘fertility’ themed natural anyone – as here we are taking all back to basics. Declutter, Reset and Restore – perfect FIRST. Helping you is so simple – we actually move the congestion and let life flow!